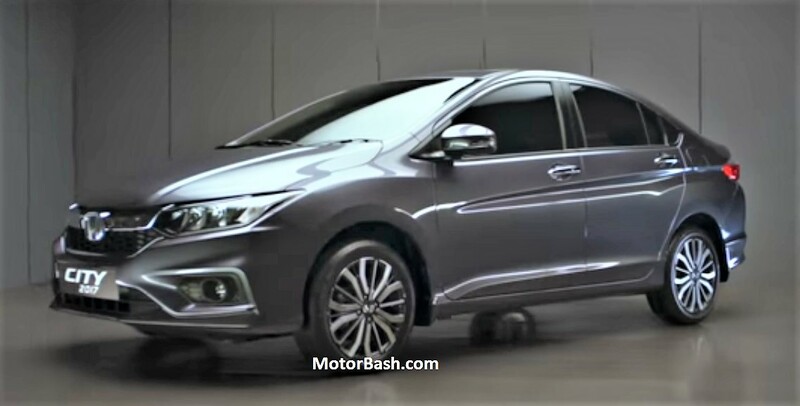 After its Thailand launch, the next market to get the 2017 City facelift will be India (meanwhile Honda Malaysia has also started launch procedures). 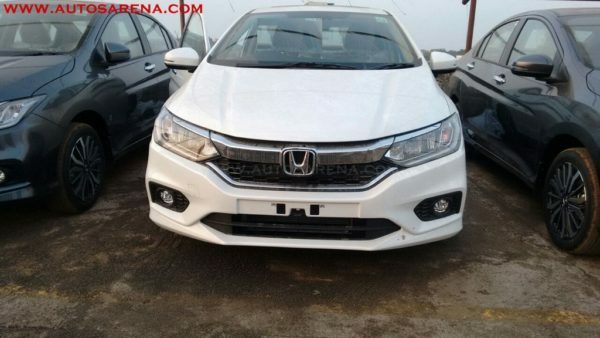 And few days after it was spotted during a promo shoot, the car has been snapped at few dealerships in India and yesterday, Honda has officially sent out mailers announcing the launch date of City facelift in India. As compared to the Thailand-spec City, the India-spec car gains different diamond-cut alloy wheels (which have a very close resemblance with Maruti Suzuki S-Cross’ alloys!) and LED tail lamps. Against the existing version, the 2017 City comes with a thinner chrome bar on the honeycomb grille which is also underlined by (more) chrome. Minor changes to the design of the headlamps and the front bumper can also be noticed. At the rear, the car gets new tail lamps and spoiler but the boot lid and the overall design remains absolutely same. The only change is the new bumper which tries to lend the car sporty looks. It features a grille-like structure surrounded by black-outlined reflectors at both ends. Interiors, as depicted by these latest pics, do not signify many changes. According to a report at Team-BHP, new 2017 City will come in five colours – Orchid pearl white, steel grey, golden brown, red pearl and alabaster silver. So, the taffeta white currently on offer is probably being ditched. They also say that LED DRLs will be standard on all variants. 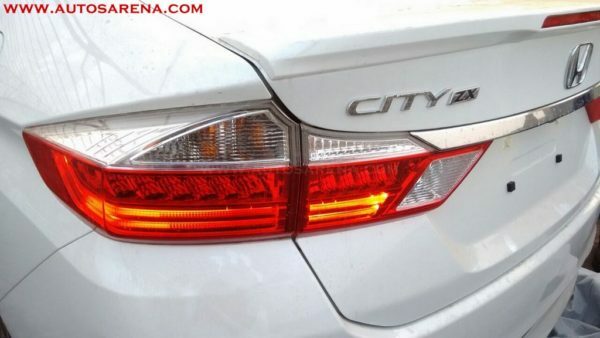 According to the latest official info, Honda has announced that the new City will get LED package, new AVN system and an enhanced safety kit. 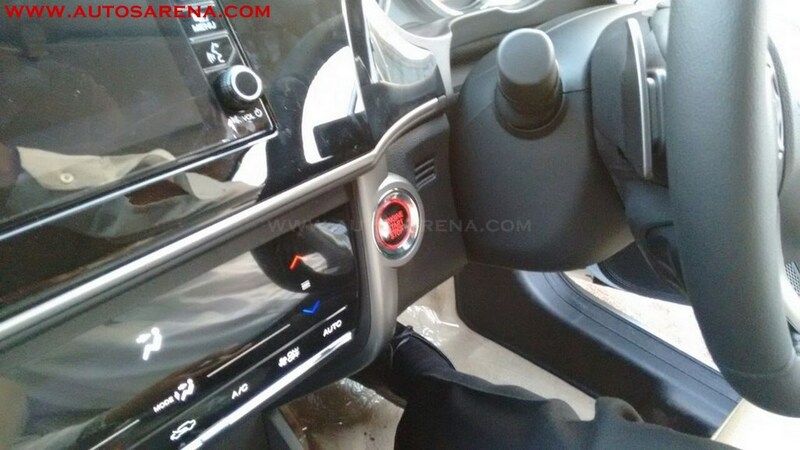 The India-spec City ZX, which will be the new top-of-the-line variant, will get LED DRLs and automatic LED head lamps, LED fog lamps, new 16 inch alloy wheels, sunroof, 6 airbags – side and curtain (expected) and 7 inch touchscreen infotainment system with Android Auto and Apple CarPlay. In terms of mechanicals, expect the same 1.5 liter petrol and 1.5 liter diesel engine combinations to continue to do duty on the sedan. For the petrol variant, there will be a CVT unit apart from the manual transmissions (for both petrol and diesel). Honda has already introduced the new City in Thailand without any significant price increment. According to the official mailer, 2017 City facelift launch is scheduled on 14th February in India. 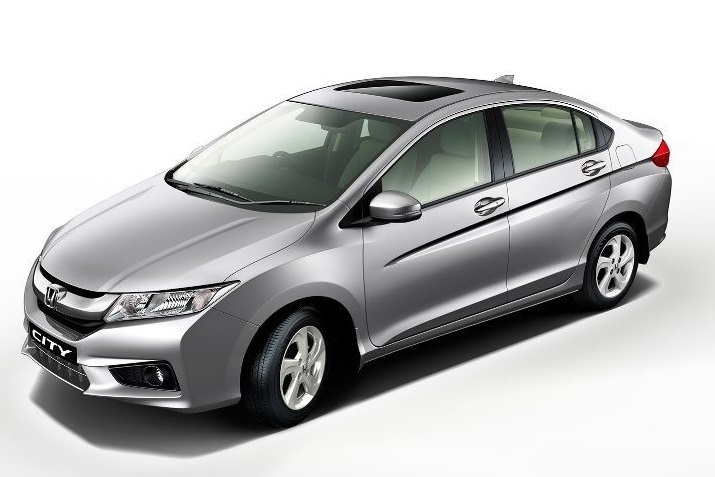 Honda has also commenced bookings of the car at a payment of Rs 21,000 across all authorised dealerships in India. 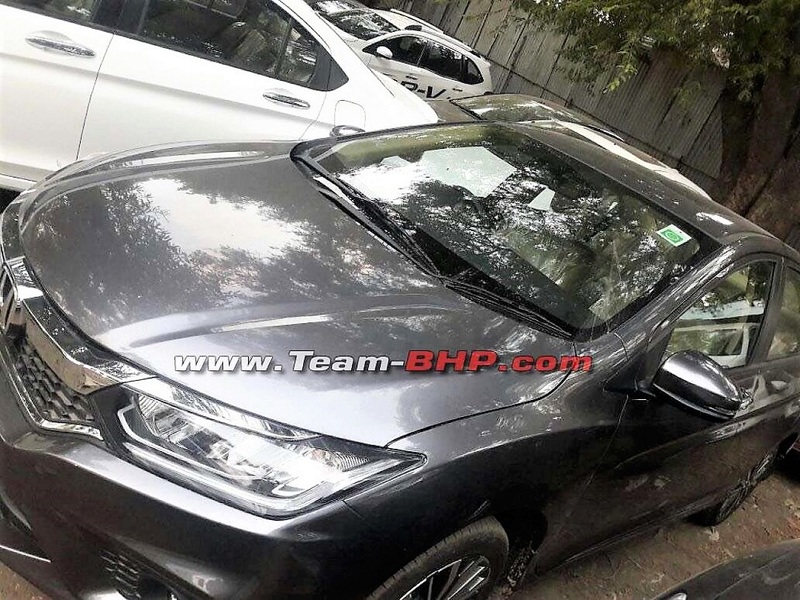 In terms of sales numbers, City is slowly beginning to loose out to Ciaz and Honda would be hoping to get majority of customers back into its shield with this new facelift.